It has been a long time not making things for Sims. Some times life calls, there are other games to play… and after 7 years playing and creating I got bored. Bla bla bla. Now on to the download. My first Sims 3 share is something very different. Not that I’m tired of medieval, gothic, victorian, art nouveau or classic, but I like (a lot) modern minimalist homes. 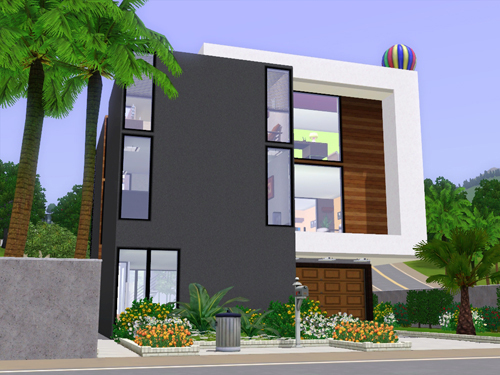 My main neighborhood in game is full with all the lovely modern houses I’ve downloaded from other creators.